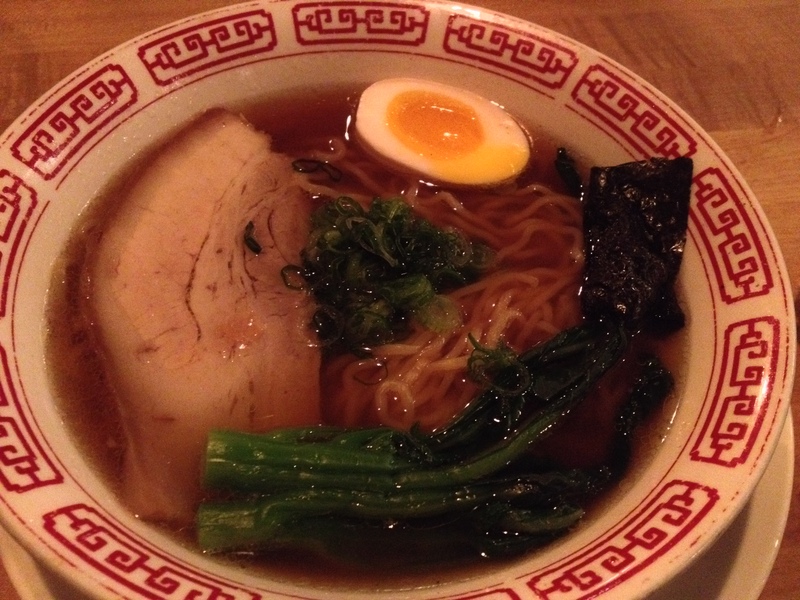 Ramen has taken over NYC. But finding a place with traditional taste and a great craft beer lineup isn’t easy. Luckily, you can follow the red glow to Ganso in Downtown Brooklyn. Chef/owner Harris Salat knows what he’s doing. After working in restaurant kitchens in Japan, and writing four Japanese cookbooks, the Brooklyn native returned home and opened Ganso. The bright space is covered in brick and wood, covered with cool posters, and has an open kitchen. The three times I’ve eaten here, it’s been packed, but never noisy. Apart from the tables and booths, counter seating along the kitchen mean there is rarely a long wait. To start, you need to order Rio’s Wings ($10), some of the best wings I’ve ever had. Lightly fried but not breaded, they stay crunchy even though they’re doused in a delicious, tangy, slightly spicy Ganso special sauce. This sauce, with perfectly balanced flavors of soy sauce, honey, garlic, ginger and chili peppers, is so good it should be bottled (really, please bottle it!). The appetizer special of the night was a bowl nicely fried shishito peppers ($8). These sweet peppers are seasoned with Japanese wet sea salt and green onion, and are a fun finger food. Their best-seller is the ganso ($13), with a porky soy sauce broth, a huge piece of pork belly that’s so tender chewing isn’t needed, an egg, and tasty greens. 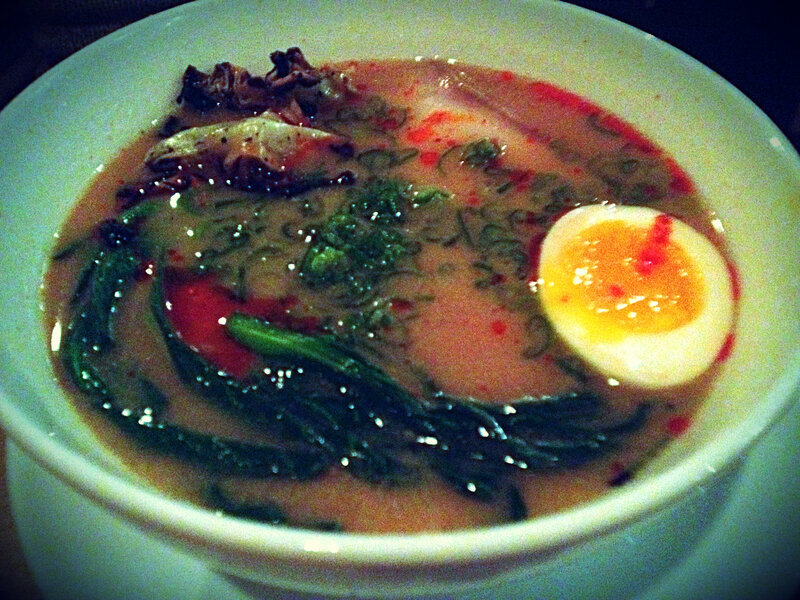 If you want a mild spice, the beef short rib ($15) ramen is a good choice. Even spicier is the spicy miso ramen ($14); hot but not overwhelming, salty but not overly so, and offers the same tender pork belly, egg, and greens. This one also featured a bit of charred cabbage which gave a deliciously smoky flavor to the dish. The beer list (all bottles and cans) had a lot to choose from. I started with a Firestone Walker Union Jack ($7), a great example of a West Coast IPA. It’s dry and bitter while also juicy and citrusy. Stillwater Classique ($7) was next, and its light, bubbly funk was a good palate cleanser. I finished with Greenflash LeFreak ($19 for a 22oz bottle), a Belgian IPA. This was a good mix of the two previous beers…some hops and some funk, yeast and grapefruit…great combos! Other beer options include Evil Twin Bozo, Brasserie d’Orval Orval Trappist, and Maine Beer Co MO. 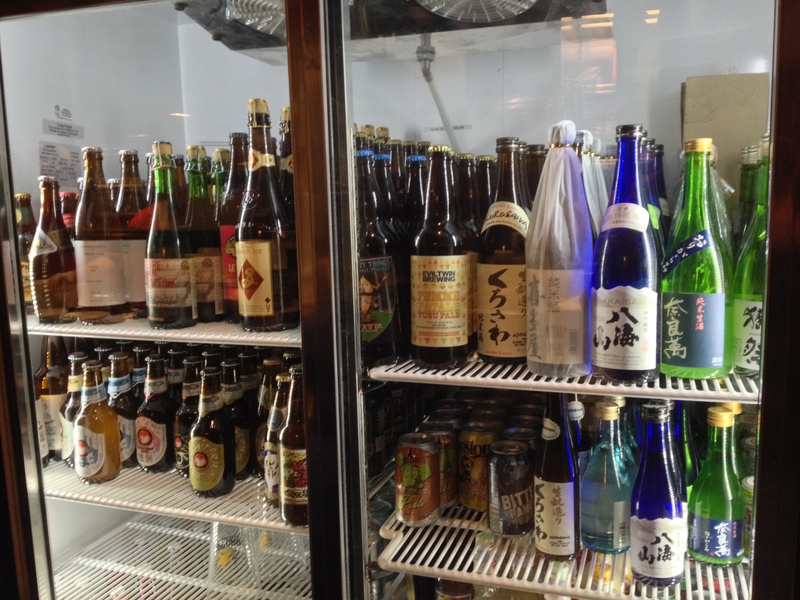 There are also nine Japanese craft beers which I will definitely sample on my next trip.